Amalgam (metal) fillings were once a common staple of traditional dentistry when it came to treating cavities, but today, there’s a much better solution: tooth-colored fillings. 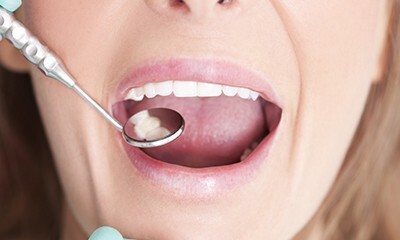 Tooth-colored fillings are made of composite resin, which can be shaded to match your smile’s natural color. Better yet, the material is much more conservative and flexible, which means we can preserve more of your tooth’s remaining healthy structure and strengthen it more effectively. Patients are also less likely to experience painful sensitivity to temperature once the new filling is in place, considering its lack of metal. Cavities affect patients of all ages, and our doctors and staff members at Dolan Dental are here to help when your family has hurting teeth. Please contact our Wethersfield, CT office today to schedule a visit!